Choose from a selection of 4 holiday rentals in Markaryd NV. Use the search form to the left to filter the results and pick your choice of self catering accommodation in Markaryd NV. We have a good selection of holiday apartments in Markaryd NV perfect for family, single, romantic and group holidays. You may prefer to take a look at our listed holiday villas in Markaryd NV or holiday apartments in Markaryd NV. Find your holiday homes by a specific type using the property type drop down in the filter. Filter the holiday homes in Markaryd NV by a specific area using the area list above. Cozy cottage with fireplace and stove. 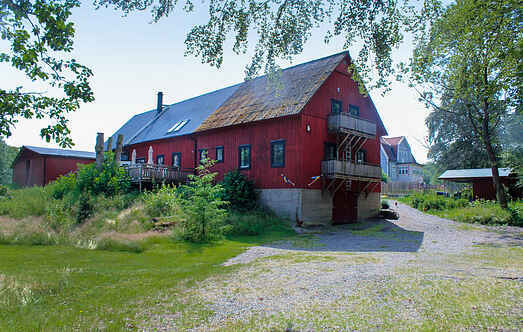 It is located on a beautiful plot and 400 m from the river Lagaån for swimming and fishing. 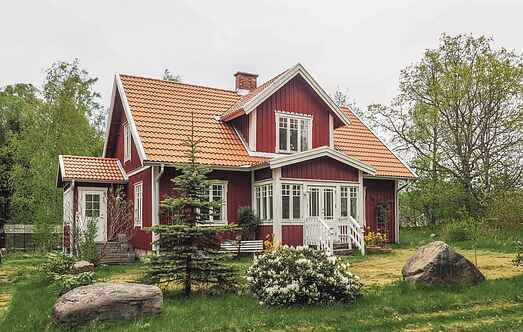 Lovely cottage with good standard and open architecture inside. Språxhult is Strömsnäsbruk. On the terrace you can spend nice evenings. At the edge a barbecue is. This colourful holiday home is situated on a picturesque plot, surrounded by forest and close to Lake Tannsjö. Exclusive holiday home with a solid and interesting architecture. Traditional, yellow, previous farm in rural surroundings. The holiday home is modernly furnished. It was renovated in 1995 and subsequent but has kept its original style. This lovely cottage is situated outside Knäred in a slightly secluded location. Anglers can catch game fish in river Venneån located 1 km away. This spacious house surrounded by wildlife and nature, is located in Hökhult, outside Traryd. You can go fishing in Lagaån. Well-maintained and good holiday home in a quiet, sunny and beautiful area. Covered terrace. You can catch salmon 1 km from the house. Large open-air swimming pool 10 km. Markaryd 17 km.